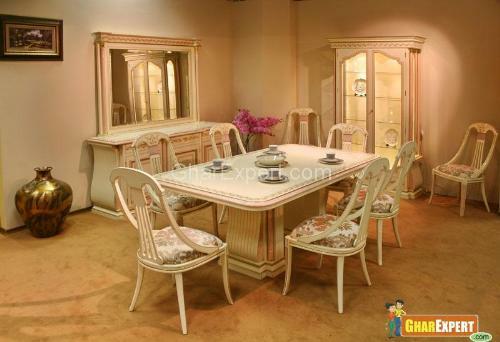 Dining room furniture makes your room look appealing and comfortable. 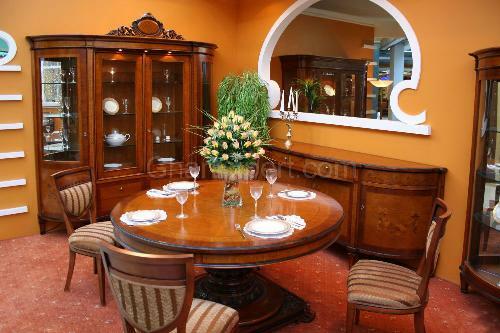 Dining furniture comes in various materials such as metal, wood, wrought iron etc. For a wonderful dining experience, you can add some decorative pieces like flower vases, aroma candles and table runners to your dining table. Dining table is a focal point of your dining hall. 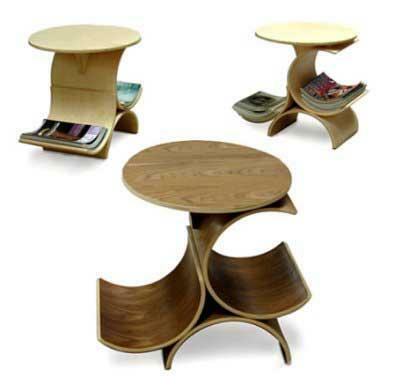 These tables are available in various sizes and shapes such as rectangular, square or round. Round table is a great space saver and looks elegant. For large spaces, you can use large tables that will fill the space. You can choose a right table according to the need of your family. If you choose right tables for your dining room, it not only makes your meal time great but adds splendor to the interior of your house also. First, you have to set the position of dining table. 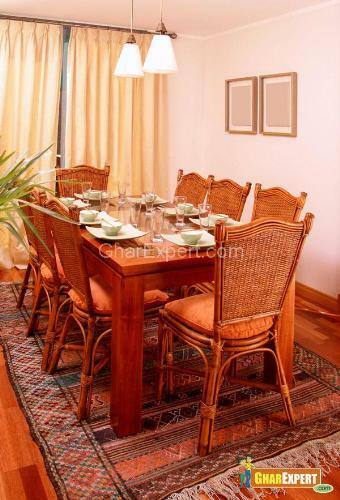 Always match up dining table with chairs for perfect look. Don’t purchase tables with sharp edges as they may cause injury. Dining chairs should be comfortable and relaxing. Always remember certain things in your mind that is colors, materials and theme of the house before buying chairs or other furniture. Different styles of dining chairs are Parson, Windsor and Chippendale etc. Parson chairs are suitable for houses and come in pairs of two or three. Windsor chairs are stretchable and come in multiple colors. Chippendale chairs are very expensive and offer a royal look to your dining room. 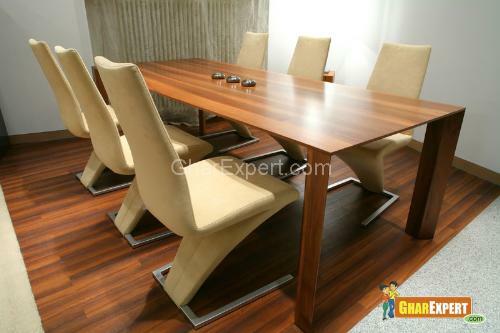 Dining chairs come in various finishes such as leather, wood and upholstered finishes etc. China cabinets look attractive in dining hall when illuminated with light. They display fine china, cutlery, dishware and other house wares without occupying a lot of floor space. China cabinets keep house wares safe from dust and breakage. Sideboards give a cozy feeling to your dining room. They will provide space for serving food as well as for additional storage. Sideboards enhance the beauty of the dining interior. Choose right coffee table for your dining room. You can put magazines, keys etc. on the table. Coffee tables can also be used for one person to eat the meal. 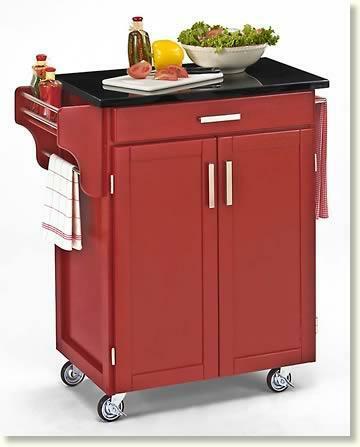 Dining serving trolleys enhance your dining experience as they come in various styles and materials. 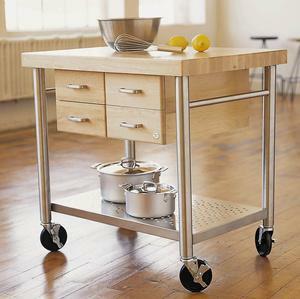 With stylish and colorful serving trolleys, you can make your dining room gorgeous and can serve the food where you want to serve. 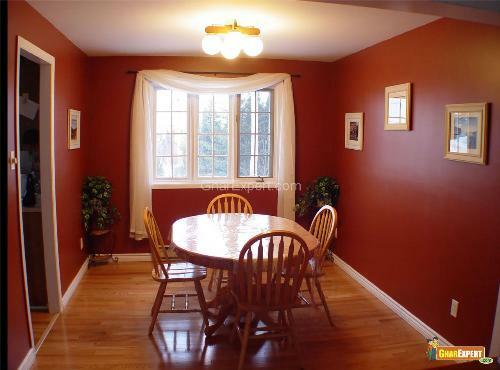 Measure the size of your dining room where you want to put your dining furniture. Use round tables for small spaces. Glass topped table will give the illusion of more space. Don’t purchase tables with sharp edges if you have small children. Sharp edges may be harmful to your children. 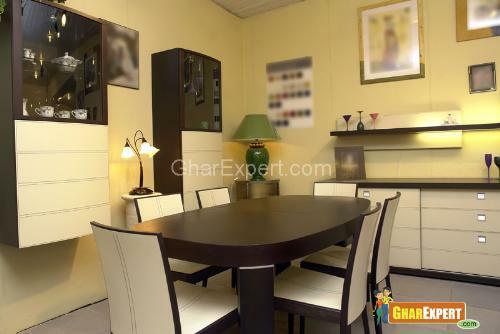 Match up your dining furniture with the furnishings of the room. Keep the width of dining table at least 1 meter to serve your all food items.